Fremington Bridge carries the Tarka Trail, popular with cyclists and pedestrians. 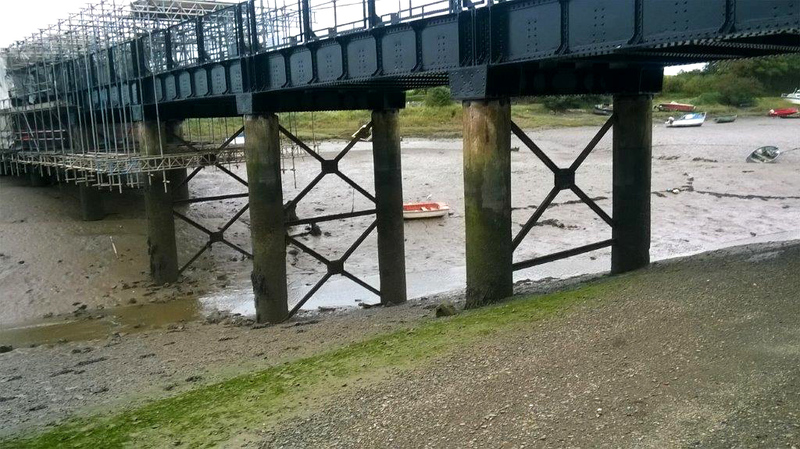 SWH Civils were appointed to undertake urgent maintenance works on the bridge as the steel supporting the concrete deck slabs had been badly corroded, and the original paint system on the steels had perished. A requirement of the scheme was for public access to be maintained at all times. To ensure safe public use the bridge, the scaffolding incorporated a protected central walkway. Due to the restricted width, cyclists were advised to dismount for this part of the trail. We were also required to maintain access for boats travelling in and out of the Quay. SWH Civils liaised with the harbour master and Marine Management Organisation to ensure we had a full understanding of everyday movements. We then programmed the works sequentially, only working on two spans at a time to ensure that a channel pathway for boats was maintained. An environmental challenge on this scheme was the removal of potentially harmful materials over the river. We liaised with the Environmental Agency and Marine Management Organisation to ensure that our works were completed in compliance with legislation. To mitigate the risk of contamination, we used fully enclosed encapsulated scaffolding. Additionally, operatives were required to wear full PPE and Respiratory Protective Equipment as some of the old paint on the bridge contained coal tar and lead. We also used a forced air extraction system to increase air circulation, and provided a decontamination unit for operatives to use. 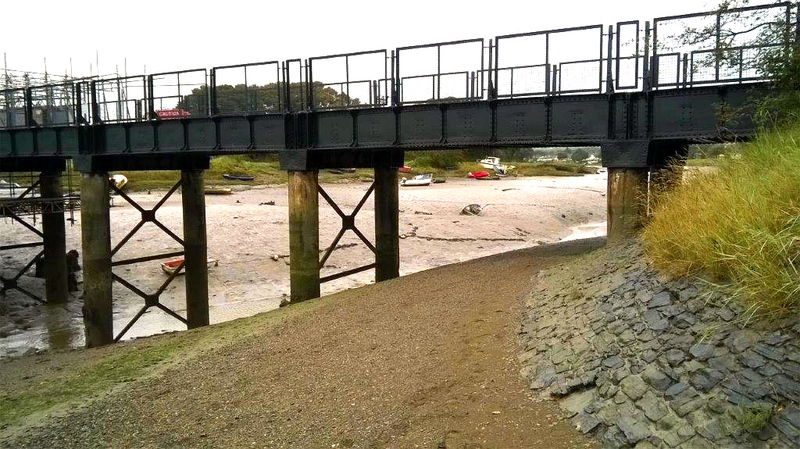 Working within an intertidal area, the effective programming of the works was essential. The scaffolding was designed to be able to be easily raised and lowered to keep potential pollutants above the water line, and works were planned in accordance with tide times, taking into account neap and spring tides. The client was very pleased with the works and has recently nominated this project for a 2017 Institution of Civil Engineers Award.